Luke joined Travellers Aid Australia after seeing an opportunity advertised online, and luckily for us after ten years he’s still here as part of our team! 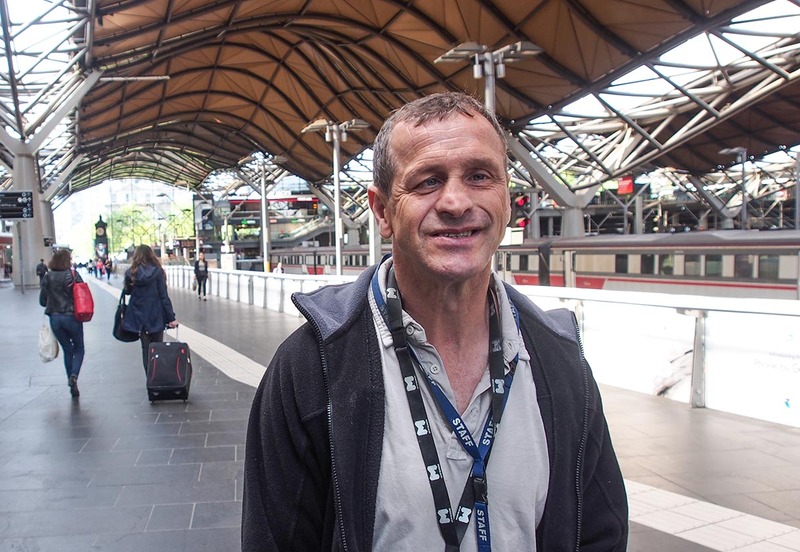 Luke takes messages and goods between our sites at Flinders Street Station, Southern Cross Station and our head office in Bourke Street, Melbourne. He enjoys having a chat and a joke with the people at the sites. Maria, our Operations Manager, says, “Luke brightens up our offices every day and always puts a smile on my face”. Because of his disability one of the main challenges Luke faces when doing his job or when socialising, is travelling on public transport. We work with him to overcome these challenges and to continue being a great asset to our team. We asked Luke what the best thing was in working at Travellers Aid Australia. For Luke it is simply, The people I get to see every day and the fact that I get to quality control the biscuits we are selling at Southern Cross Station. Luke also volunteers for Reinforce, a self-advocacy group based in Ross House.